Let me say something right now before I defend this movie: it is a bad movie. It is really poorly made. I would not recommend that anyone watch this film. It was simple of a disaster of near epic proportions. Anyone law-savvy take note: never begin a client’s defense like that. After Earth is the latest movie from fallen star M. Night Shyamalan. The once brilliant master of suspense (The Sixth Sense, Unbreakable, Signs) has fallen to earth with more force than most comets, and appears fully determined to sink down right into the center of the Earth. Following up his first disaster (Lady in the Water) with entertainment turds The Happening and The Last Airbender, there did not appear to be any end in sight. How bad could Shyamalan get… just watch his next movie to find out. Until now. Seriously, where did the talent go? 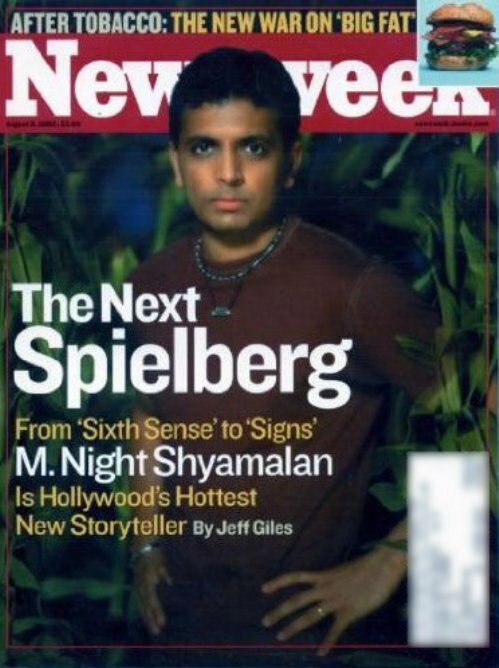 With each bad Shyamalan film, there was always a ‘silver lining’ way to view failure. Lady in the Water was an interesting (yet very flawed) commentary on storytelling. The Happening had a challenging concept that would have made Alfred Hitchcock go: “no way man, I’ll stick with birds.” The Last Airbender was his first and, to date, only movie where there was no such positive spin. Apart from composer James Newton Howard: nobody did their jobs well on that movie. After Earth is a poorly written movie with a weak leading actor, but still possesses quite a few cool concepts. For starters, let’s look at a potentially cool character conception that translated incredibly poorly to the screen. Cypher Raige (not kidding on the name) is, in concept, a super soldier. He is emotionally detached to the point of being a living weapon. Yet it does not appear that this was a man born without emotion. Throughout the movie, Rage makes hints to returning to a more human existence. He seems to be trapped in the emotionless void he created to survive. For instance: he has a son that he can only speak to as a soldier. In the beginning, Raige shows some flickerings of emotion with his wife. After that, there was A LOT of deadpan with this face. This has potential to be an interesting character arch. The danger of writing a character like this, however, is that if it is done poorly, the audience will be forced to endure a cold, emotionless robot as one of their main characters. Exactly what happened to Will Smith‘s performance in After Earth. Another cool idea: a hostile earth. This realm of science fiction is already starting to come home to reality, but to create the idea of a human-abandoned earth sounds intriguing. Also, this does not appear to be a recent desertion either. The movie gives the audience a planet that has had time to revert to a complete feral state. There are no real traces of cities or any human settlement left on the planet. The surviving animal species have been left on their own to evolve and adapt into incredibly dangerous and hostile versions of their former selves. How exactly is this baboon any more or less dangerous to humans than a baboon today? Again, another problem of the script breaks through to derail the concept. After Earth feels like two independent ideas sandwiched into one script. In one story, the animals of Earth have evolved to pose a very great threat to humans. In another, Earth has become a planet with extremely dangerous climate conditions. This latter idea dominates most of the movie, however all the set up is done stressing the dangers of the planet’s inhabitants. Also, great thing to tell your son before lecturing him on the importance of not being afraid. Do not let this man become a motivational speaker. 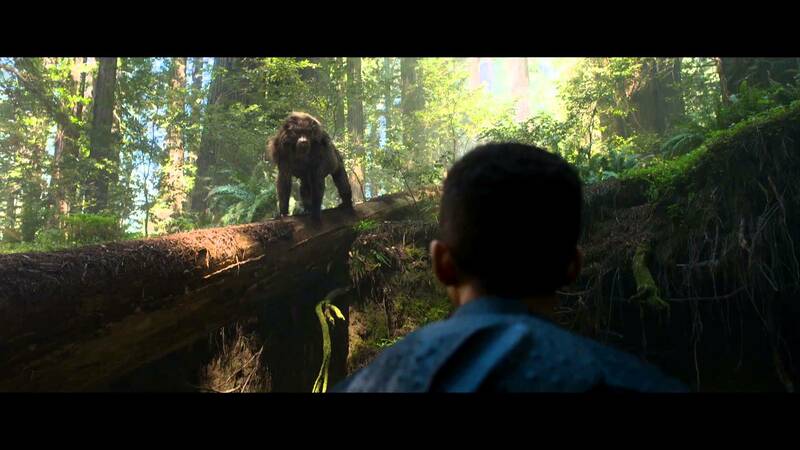 There is no real animal threat in the movie, save for an Ursa, which is a chemically engineered non-native of Earth. That line works great in trailers but ultimately comes off as the exact opposite of intelligence. The cgi rendering in this film: not super great. Finally, the story itself. The idea of a father and son getting trapped together on a hostile world sounds promising. The fact that the two have a miserable relationship adds potential for characters. The injury to the father should help to prompt a sci-fi coming of age story that is worth watching. 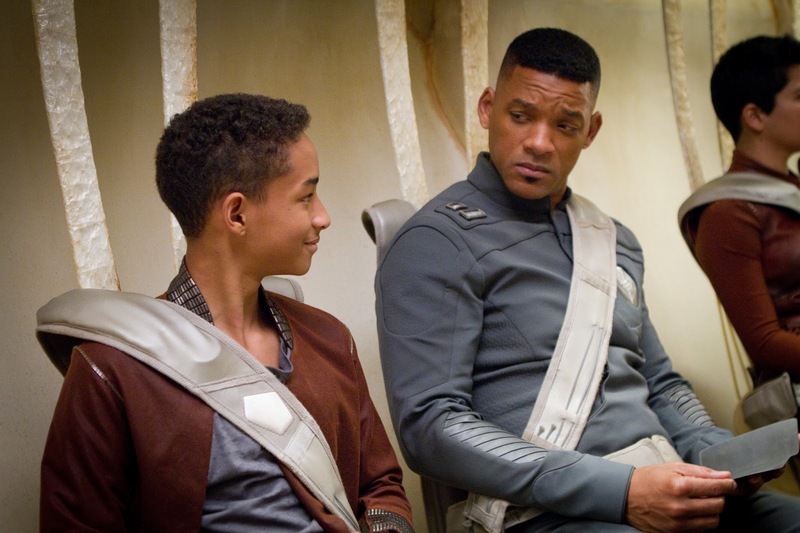 Sure, After Earth‘s plot is simple but there is potential there – just not for a summer action blockbuster. The best moments of this movie are when it’s not trying so hard to entertain. Maybe the expectations of a smaller, independent release would have suited this film better. It fell apart in the script, and whether it was Shyamalan’s directing or Jaden Smith‘s acting, there was no strong performance to save it. Should you watch this movie: only if you’re like me and you enjoy analyzing and critiquing stories. Otherwise, there is a lot of vastly superior science fiction to enjoy at the moment. The worst may be behind M. Night Shyamalan, but he still has a lot more climbing left to do. ← Godzilla's Revenge A.K.A. All Monsters Attack A.K.A. What the F*ck am I Watching?